Feb. 10, 2015, 10:05 a.m.
By Caroline O’Donovan @ceodonovan Feb. 10, 2015, 10:05 a.m.
Tablet magazine announced in a blog post yesterday that they’ll be taking an unusual step to deal with sometimes unruly commenters: charging readers who want to submit — or even view — comments on their site. Editor Alana Newhouse wrote that the new talk-back charge is aimed at heightening the discourse on the website. We take pride in our community of readers, and are thrilled that you choose to engage with us in a way that is both thoughtful and thought-provoking. But the Internet, for all of its wonders, poses challenges to civilized and constructive discussion, sometimes allowing destructive — and, often, anonymous — individuals to drag it down with invective (and worse). Instead of shutting off comments altogether (as some outlets are starting to do), we are going to try something else: Ask those of you who’d like to comment on the site to pay a nominal fee — less a paywall than a gesture of your own commitment to the cause of great conversation. For all the various ways publishers have tried to improve their comment sections, few have taken a step as large as charging readers. Putting up another barrier — one that necessitates a credit card, or at least a PayPal account — aims to disincentivize individuals whose only motivation is trolling from joining the conversation. The group blog Metafilter is one of the few to try a version of this model: Its members make a single payment of $5 for the ability to share links and comment on the site; reading remains free. The website says this system helps ensure trust in the community and that the quality of contributions is high. The comedy website Something Awful has a similar system, charging a one-time $10 fee for posting and reading access to its forums. In November, popular humor and commentary website The Toast started offering subscriptions to its not-as-yet-launched chat feature which will include “invitations to chats with our authors and contributors.” Since The Toast has open comments, their chat feature is more likely aimed at revenue building, however, whereas Tablet’s new comments paywall is more about improving the quality of conversation. Talking Points Memo, a similarly reader-driven site born in the age of the blog now offers The Hive, a members-only chat room, as part of its Prime package. The promise of The Hive? “No trolls. No screaming.” TPM founder Josh Marshall says he thinks paid commenting makes a lot of sense. Newhouse is right in saying that, lately, many websites have decided to deal with the troll problem by shutting down comments completely. 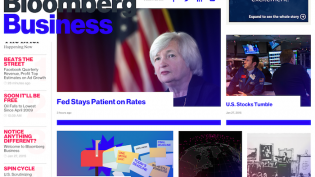 Bloomberg became the latest to follow the trend with the launch of their new Bloomberg Business website. In an interview, editor Joshua Topolsky told me that other news outlets closing their comments sections made Bloomberg’s decision to do so easier. Comments sections are time-consuming and expensive to moderate; if publishers can point to other companies as justification, killing the comments becomes that much easier. Publishers who kill the comments like to point out that, with news brands and journalists available on a myriad of social platforms, readers aren’t exactly at a loss for ways to get in touch. Indeed, in the Tablet announcement, Newhouse says readers who don’t want to pay to comment should feel free to usual social media or email to engage with the magazine. Killing the comments is a different matter for general news sites that don’t rely on community engagement for reader loyalty and revenue. But for other sites, the comments are much more valuable. Gawker, for example, simply wouldn’t be Gawker without the Kinja commenting platform. Tablet sees itself in this category of publisher; the comments are worth saving for the benefit of engaged readership, but can’t be left completely open to the tyranny of the crowd. 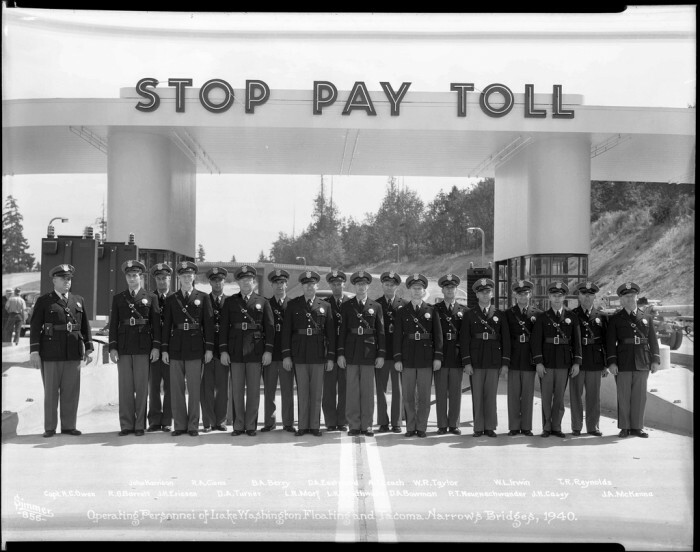 Image by the Washington State Department of Transportation used under a Creative Commons license. POSTED Feb. 10, 2015, 10:05 a.m.
O'Donovan, Caroline. "Troll toll: Tablet is now charging its readers for the right to comment." Nieman Journalism Lab. Nieman Foundation for Journalism at Harvard, 10 Feb. 2015. Web. 25 Apr. 2019. O'Donovan, Caroline. "Troll toll: Tablet is now charging its readers for the right to comment." Nieman Journalism Lab. Last modified February 10, 2015. Accessed April 25, 2019. https://www.niemanlab.org/2015/02/troll-toll-tablet-is-now-charging-its-readers-for-the-right-to-comment/.